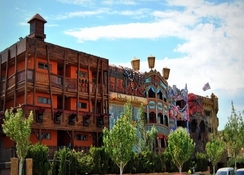 Pirates Village is a unique pirate-themed holiday resort offering a wide range of entertaining activities and exciting adventures for the entire family. The resort features splendidly designed swimming pools for adults and kids, games room, sun terrace with hammocks and parasols, kids' club, pool snack bar, cinema and much more. A photography studio and a TV lounge are also available here. Free Wi-Fi is available throughout the resort. The stunning beach of Santa Ponsa is nearby, about 350 metres away. The restaurant here has serves a wide variety of cuisines. This pirate themed resort is a great place to discover the world of pirates and enjoy amazing adventures and fantasies for the whole family. 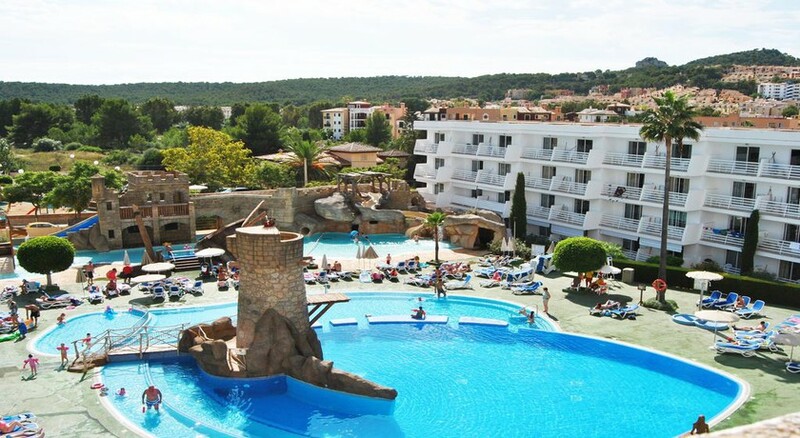 The Pirates Village Resort is located in Santa Ponsa, Majorca. It is 350 metres from the Santa Ponsa beach. It takes only 6 minutes to reach this beach. The Palma Airport is 30 km from the hotel. Guests can either take a taxi to the hotel from the airport, the trip takes about 25 minutes and costs about €39, or they can also use the private shuttle service provided by the hotel, which takes about 1 hour and costs €9 per person. The hotel is close to these cities: Paguera at about 5 km, Costa de la Calma at about 2 km, and the city of Palma de Mallorca at about 19 km. This pirate-themed village resort has 143 fully renovated Mediterranean style apartments with a themed touch of the pirate’s world. There are superior apartments and superior large terrace apartments. The apartments have cosy beddings and fully furnished balconies that overlook the swimming pools. 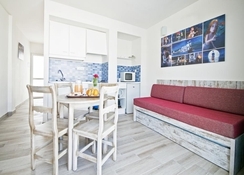 The apartments have a kitchenette and fully equipped bathrooms. 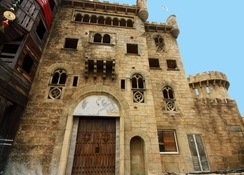 Facilities in the apartments include air-conditioning, free Wi-Fi, LED TV, telephone, fridge, room safe (local charges may apply), sofa bed, hairdryer, and a desktop in the room. The kitchenettes have a toaster, an oven, crockery, other kitchenware and a kettle. Free cribs and baby cots are provided in the rooms. Room cleaning service is provided in alternate days. The restaurant – Pirates Tavern serves a great variety of delicious dishes to its customers. This restaurant is an international buffet which serves meals at breakfast, lunch, and dinner. The restaurant also has a snack bar which serves some tasty snacks. The pool snack bar offers refreshing drinks and light snacks from 10 am to 11pm. The all-inclusive package includes buffet breakfast, lunch, dinner, snacks and drinks. 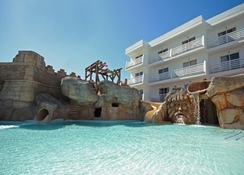 Located in the centre of the resort is the Pirates Tower Pool, which is the best spot of enjoyment for all ages. 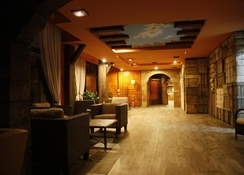 It has a baby zone, a splash pool, showers and deep relaxation areas for everyone. Another fun place is the Kids Pirates Bay Pool, which has wonderful slides, waterfalls and caverns to explore. Sun loungers are present around the pools for adults to sit back and relax. 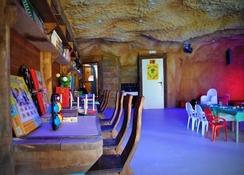 There is also a Kids Club offering many indoor and outdoor play areas, interactive computer, kids’ movies cinema, hot air- balloon castles and stages. Other entertainment activities include golfing at the Santa Ponsa Golf course and marine life viewing at the Palma Aquarium.